It doesn't matter where you are in the city of Johns Creek Ga, we will come directy to your site. We make hard drive data recovery and laptop hard drive data recovery services easier for you with our mobile to site hard drive pick up and delivery services. If you are located anywhere else in the United States, you can conveniently package and ship your hard drive media to our location. We understand that your time is valuable and it is critical that you have access to your hard drive data. We respond urgently to any bad hard drive data recovery or computer hard drive repair situation or need. We can pickup and deliver your hard drive anywhere you wish. We can pickup anywhere from Alpharetta Georgia to McDonough Georgia. All data and materials will be handled in a professional, confidential and efficient manner to help you when you need it most. The 1st step in dealing with data loss or mechanical hard drive failureis the most critical and will determine if the data on your hard drive is recoverable. 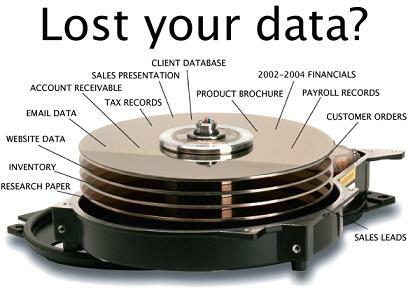 To keep time and money to a minimum, contact 404 Computer Repair data recovey services immediately and leave your data loss incident in the hands of trusted data recovery professionals. If you mistakenly, accidentially or in error removed, extracted, accidentally deleted a file or erased your hard drive data and now are having a problem stop your work and immediatley power down your computers hard drive. We will recover deleted files for you at a very affordable rate. If you have the proper computer repair tools and know how to remove your hard drive or if it is an external hard drive, place it into an anti static bag to prepare it for transport to a data recovery or data retreival service company to pick up or ship to. Upon receiving your hard drive, we will contact you and then begin the first step towards retreiving your hard drive data. Once we have completed the data recovery process, we will have to transfer your data that has been recovered to a new useful data median, meaning that a new external hard drive will be necessary. Either we can provide you with a new extenal hard drive to transfer your recovered data to or you can provide us with an external hard drive to transfer your recovered data to. Make sure that the hard drive that you are going to provide us with to transfer your recovered data to is large enough to hold the data that we recovered. Our expert information security and data recovery professionals will retrieve and restore your data securely to it's original condition. For walk-in Marietta cell phone repairs , or convenient in house cell phone repair service, contact us today at (404)259-0183, we are located at 360 Cobb Parkway South, Marietta, Georgia 30060 next door to Dairy Queen and when in Conyers and need Conyers cell phone repairs goto 2385 Wall St. Ste.202A, Conyers, Georgia 30013, we are located at 360 Cobb Parkway South, Marietta, Georgia 30060 next door to Dairy Queen and when in Conyers and need Conyers cell phone repairs goto 2385 Wall St. Ste.202A, Conyers, Georgia 30013, What to expect when recovering data?